During an exclusive interview with Reality TV World on Thursday, Lauren talked about her Survivor experience. Below is the first portion of her interview. Lauren Rimmer: I started doing that the second I walked off, yeah. I mean, that was just crazy. I'm dumbfounded that Mike even did that. I've asked him, and he's like, "I don't know, I've just always wanted to do it." And I'm like, "But why?!" You know? (Laughs) There were other options! So yeah, I feel like sh-t doing that. But, you know. Reality TV World: Talk me through your thought process when deciding to give Mike half your idol. What was your motivation at the time? Did you fear you were going home and were therefore desperate for Mike to vote with you, or were you just trying to build good will with him going forward? Lauren Rimmer: I was just trying to build on what little bit we had and keep it together, because for so long, Mike felt like he was on the outs with several votes. And by me giving half of the idol to him, I wanted him to feel like he wasn't left out. I was just trying to keep that good rapport, you know? 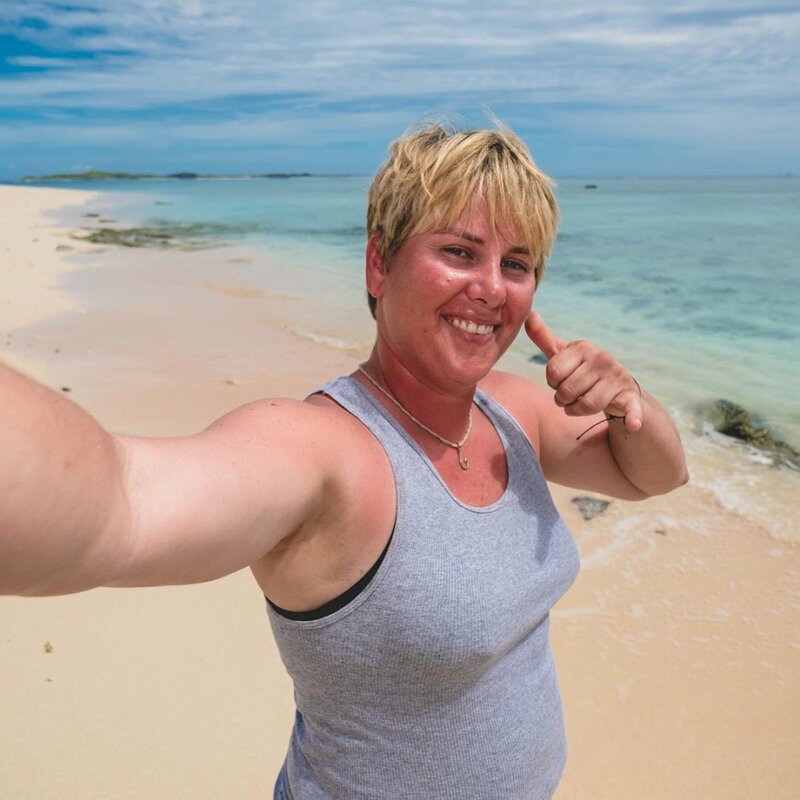 Reality TV World: How confident were you that you were safe when you gave Mike the idol compared to the moment you were actually walking into Tribal Council? And whom were you convinced was going to vote for Ben with you? Lauren Rimmer: I wasn't confident at all when I gave Mike the idol. That's, you know, in a way, Ben had spoiled [it for me]. Everybody knew everything. I didn't really have anything to lose at that point except to try to keep him on my side. But by far, I was not confident going into it, especially when the commotion started and [Chrissy Hofbeck] kind of started drilling me a little bit. I knew things were going south quickly. Reality TV World: Once you heard your name being tossed around in the middle of Tribal, what was your plan for the idol before Mike threw it in the fire? Were you going to ask Mike to give it back to you? And if you had both halves, would you have played it? Lauren Rimmer: Definitely, you know, if he hadn't have done that so quickly -- I mean, I was in total shock -- then I probably would've asked Mike, "Hey, let me work with that idol," or, "Can you play it?" And I would have said it kind of secretly. I wouldn't have announced it in front of everybody. I don't know if he would have or wouldn't have [given it to me]. And I didn't -- I should have jumped up and grabbed the shell out of the fire! And I didn't think about that until later on when I was just laying there and letting it all go through my head. I was like, "Gosh, I could have grabbed it! And possibly, [Jeff Probst] would have accepted it." Reality TV World: We saw Ryan Ulrich and Chrissy talking about how they still wanted to vote for you instead of Ben at Tribal Council, but then Mike said he wanted to vote Ben. What do you think convinced Chrissy and Ryan to change their minds? Did you say something to convince them to vote for Ben or what happened? Lauren Rimmer: No, I didn't say anything to them. I just think they were really just outnumbered. I think that they still wanted to vote for me, but it was really just the two of them. It wasn't [Devon Pinto], [Ashley Nolan] or Mike. And that's still 3-2, so them voting for me, it would've been three with Ben. But still, I just feel like they went along with everybody else. Reality TV World: You said at one point at Tribal Council that your secret advantage was ripped up, but then you claimed you had just left it back at camp so you couldn't use it. Could you confirm what was the status of your secret advantage really was? Lauren Rimmer: It was in my pocket! When I kind of started with, "I don't have it and I'm not playing it," at that point, I was trying to convince Chrissy not to vote for me. I was trying to, you know, maybe see eye-to-eye with her for a few seconds. And once I went with that, I needed to stick with it to at least try to keep what we did have there. If I would have played the secret advantage, Chrissy would've gone home. And obviously that didn't happen. I could've went and voted twice and then it would've been one for me and two for Chrissy. Reality TV World: When was the last time you could have played your secret advantage of the extra vote? Lauren Rimmer: At the next Tribal Council. Be sure to check back with Reality TV World soon for the rest of our exclusive Survivor interview with Lauren Rimmer.